Aziza Mustafa Zadeh Discography [9 Albums] (1991-2007) (LOSSLESS MP3) | Free eBooks Download - EBOOKEE! "Ayrilik" is dedicated in memory of the beatiful Turkish singer, Zeki Müren. 'Two Brothers" - to Niko Pirosmani and Sattar Bahlulzadeh. 'Peace, Peace, My God" - to Maria Callas. 'If You Love Me" - to Claudia Muzio. Now the pianist and the singer meet again and again and there are contrasts, as they could only be experienced before in her concert - 'Opera Jazz". Mozart. His Countess Almaviva from 'The Marriage of Figaro", Donna Anna from 'Don Giovanni" and also the Queen of the Night from 'The Magic Flute" borrow Aziza Mustafa Zadeh voice. She sings Leonora from Verdi's 'The Power of Destiny" and Handel's Xerxes aria 'Ombra mai fu", better known as 'Largo". Her voice swings from mezzo-soprano to highest coloratura, always accompanied from her own arrangements on piano. 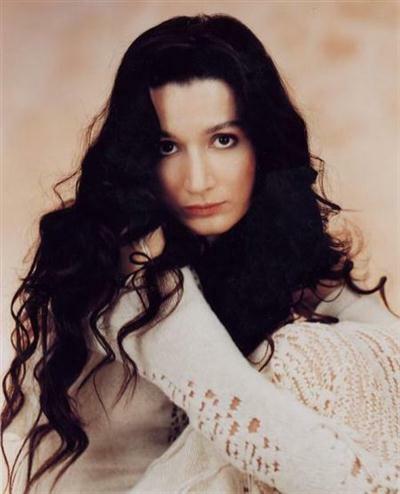 No comments for "Aziza Mustafa Zadeh Discography [9 Albums] (1991-2007) (LOSSLESS MP3)".